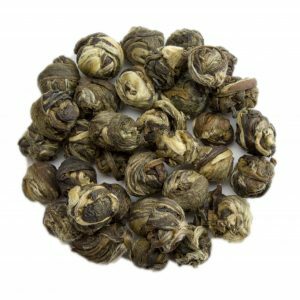 Jasmine Dragon Pearl is a high quality Chinese green tea from the Fujian Province. Made from tender young buds and leaves, this green tea is naturally scented with jasmine blossoms over several nights before being hand rolled. 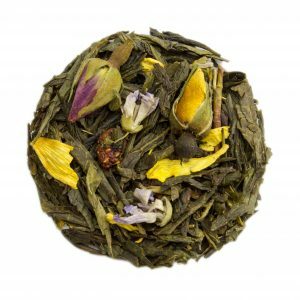 Jasmine Dragon Pearl produces a delicious and delicately light and sweet green tea. The hand-rolled pearls expand slowly to produce a refreshing, light liquor with the flavour of green tea combined with the gentle, sweet fragrance of jasmine. 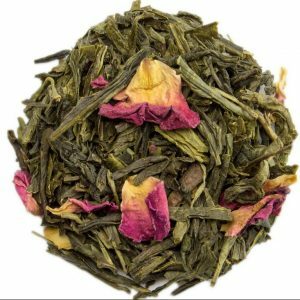 Spring Garden is a Japanese Sencha green tea combined with rose buds and freeze dried strawberry pieces. Its light floral aroma and refreshing taste will transport you to a Spring day. Our Yunnan Green Tea is grown in the mountains just outside Simao (Pu Erh City). It is made from the Yunnan Broad Leaf variety, which gives it its characteristic fragrance and flavour. Composed of sets of a bud and a single leaf, the tea is prepared by steaming, rolling and drying twice. Yunnan Green has a more complex, stimulating flavour than many other Chinese green teas. 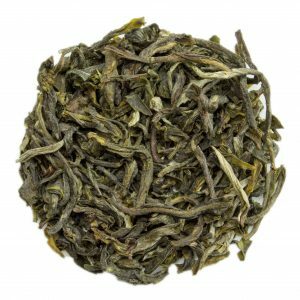 Yunnan Green combines the sweet, fresh flavour of Chinese green tea with a slight astringency and smokiness typical of the more complex Yunnan teas. Can be infused at least 3 times.